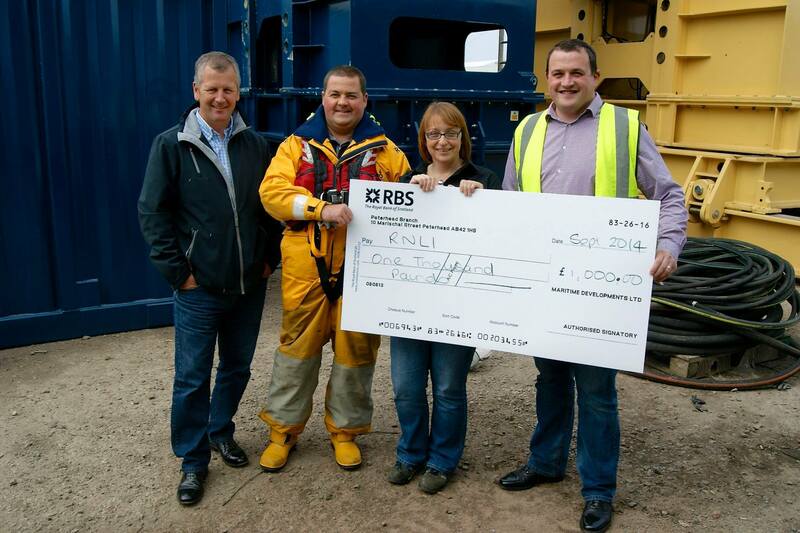 An Aberdeenshire firm donated £1,000 to the RNLI as part of its 15th anniversary celebrations this week. The fund-raiser featured in the company’s 15th anniversary hog roast which took place at Maritime Developments’ electrical workshop. The proceeds from the afternoon’s activities, including an ice bucket challenge, a prize raffle and Formula 1 and golf simulators, totalled £1,000. The sum will go towards day-to-day lifeboat operations and maintenance at the RNLI’s Peterhead base. Alastair Wilson, lifeboat mechanic at RNLI Peterhead, said: “It’s always good to be working with a local company and to see it thrive.